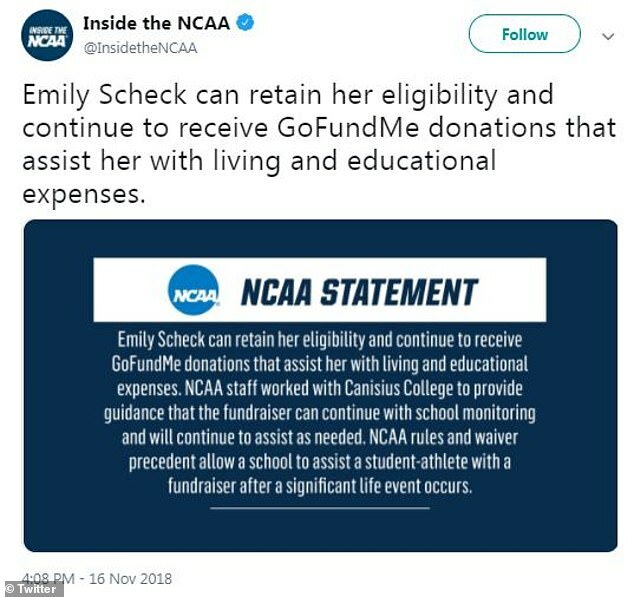 A gay college athlete who was disowned by her parents will be allowed to keep donations made through a GoFundMe campaign and retain her eligibility, after the NCAA initially ruled she would have to return the money. 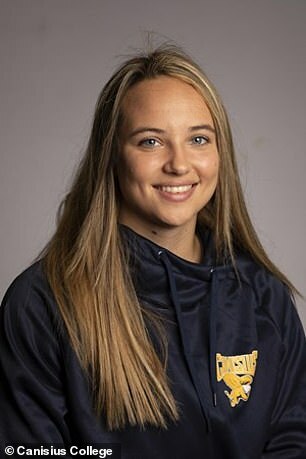 Emily Scheck, a Division I cross-country runner at Canisius College, was left abandoned by her family this past August after her mother found a photo of Scheck with her girlfriend. She called Scheck disgusting and said she could either move home and attend conversion therapy, or be cut off. “I really didn’t know how someone should respond to that,” Scheck told Outsports.com. Scheck chose to stay at Canisius, where she was already moved in for preseason. Her parents cut her off, forbid communication with her siblings and her father drove to Canisius’ Buffalo campus to remove the license plates from Scheck’s car — since her parents had been paying the insurance. He also filled the trunk with her childhood belongings. Her car remains idle in her driveway. Scheck was left without money for food, textbooks, tuition or car insurance. The sophomore attends Canisius on a partial athletic scholarship, but a full semester’s tuition is more than $18,000. She currently works two jobs — at Wegman’s and a work-study position on campus — to try to stay afloat. She added that she’s borrowed books from her friends to study for classes and relies heavily on her girlfriend for meals. After struggling like this for the last few months, despite some efforts from her coaches and faculty administrators, Scheck’s roommate set up a GoFundMe explaining her situation and asking friends to donate what they can. The page’s initial goal was $5,000 and, after two days, had already raised $25,000. Scheck was then contacted by an NCAA compliance officer at the school. The NCAA instructed Scheck either to return the money and keep her eligibility or keep the money and leave the cross-country team, per their rules. Unable to afford a lawyer and without any other financial options to make ends meet, Scheck kept the money and left the cross-country team. Scheck ran in the NCAA Northeast Regional on Nov. 9. 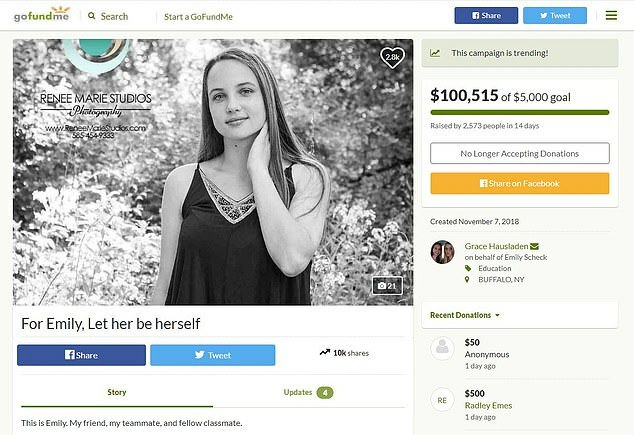 On Nov. 13, Scheck’s roommate posted on the GoFundMe page that both she and Scheck had left Canisius’ running program, due to the fundraising. Scheck is currently working on obtaining the additional funds to legally emancipate herself from her parents.